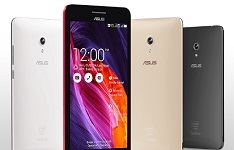 Asus is set to expand presence in the country with introduction of its range of \\\'ZenFone\\\' smartphones next month. New DELHI: Taiwanese tech major Asus is set to expand presence in the country with introduction of its range of 'ZenFone' smartphones next month, which will take head on devices from the stables of Samsung, Microsoft Devices and Motorola as well as domestic firms like Micromax. Asus, known globally for its mother boards, will launch its ZenFone range of smartphones in India next month in the mid and premium range, sources said. The firm had unveiled various ZenFone models with screen size ranging from 4 inches onwards at the Consumer Electronics Show (CES) in Las Vegas and Computex in Taiwan earlier this year. The firm expected to introduce ZenFone 6 in India, which was unveiled at CES 2014. It features a 6-inch HD screen, is powered by the latest Android 4.4 (KitKat) operating system and has a 2 GHz dual-core Intel Atom processor. Another device that the company showcased was ZenFone 5 feauring a five-inch screen and running on the Android KitKat OS could also be launched in the second week of July. Asus already sells its PadFone and MemoPad voice calling tablets in India. Samsung maintained its leadership in the market with a 35 per cent market share in Q1, followed by Micromax (15 per cent), Karbonn (10 per cent), LAVA (6 per cent) and Nokia (4 per cent), according to IDC.